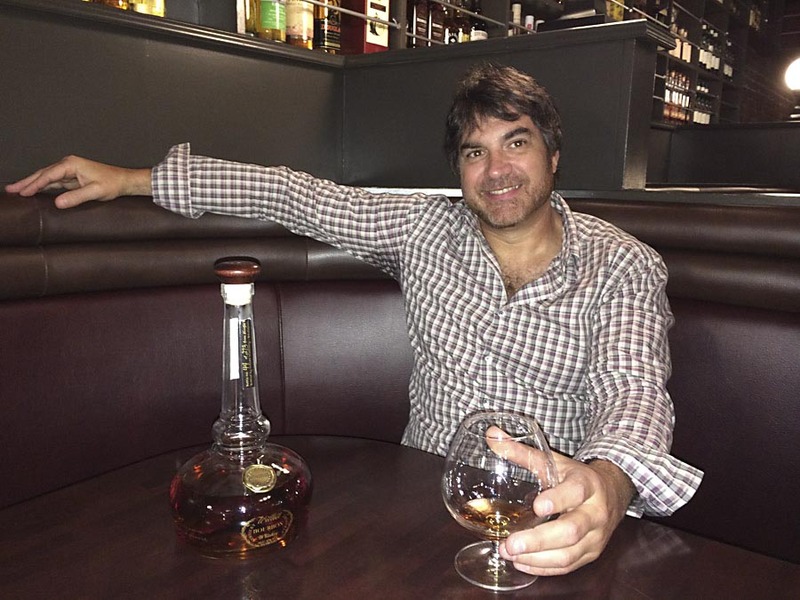 Bill Thomas founded and owns the Jack Rose Dining Saloon in Washington, DC. whisk(e)y (and this means thousands of bottles), Jack Rose boasts the largest publicly available whisk(e)y collection in the Western Hemisphere. It’s not just one of the best whisk(e)y bars in the USA, it’s one of the best in the world. This all comes down to Bill Thomas, a local who was born and raised in Prince George’s County, Maryland, which borders Southeast D.C. and is just a short drive from where Jack Rose is now. Bill’s great-grandparents on his dad’s side owned and operated bars and restaurants for over 50 years in D.C. starting around 1900. His mother’s side goes back even farther in England with family roots in the bar business since the 1700s. You might say the palate and lifestyle was in his blood. Growing up with an affinity for all spirits, he was especially taken with standout atmosphere at his favorite bars. In the ‘80s and ‘90s, he got hooked on whiskeys/whiskies, starting off with blended Scotch and Jameson, then moving on to Kentucky bourbons. His first bar was called Bourbon, appropriately, an American whiskey bar in the Glover Park neighborhood of D.C., north of Georgetown. With over 300 different bottles, their focus was predominantly American whiskeys, and at the time, was one of the largest bourbon selections in the USA. There, he ran out of shelf space and was looking to grow beyond, setting the stage for Jack Rose. Eventually in 2011, Bill opened Jack Rose, where his collection has grown exponentially in a few short years. He often judges, leads tastings and is featured in whisk(e)y history documentaries. His passion extends to his home collection. It is not enough to have a few thousand bottles at the bar: he also houses over 6,000 bottles in his private collection. In his own words, Bill talks about the importance of honesty in labeling, what is exciting him now in craft spirits and what advice he’d give to distillers seeking placement in key bars. As a whisk(e)y collector and expert, how and when did you first start to fall in love with whisk(e)y? [I fell in love with whisk(e)y] the first time I tried multiple whiskeys side-by-side, and discovered that the depth and complexity from whiskey to whiskey was so extreme. I realized there would be an endless pursuit of the next great dram. A few more years of drinking and exploration, then I opened my first whiskey bar, Bourbon, which was more than 15 years ago. When did you realize you wanted to open a bar and how did that come about? My family was in the bar business at the turn of the century and I always knew it was something I wanted to do. Growing up, the drinking age in D.C. was 18, so by age 15, I was already starting to become a regular in the D.C. bar scene. Then in my mid-20s, after a couple years of constant searching for the right location, I settled in the Adams Morgan neighborhood of D.C. Given your huge home collection, how do you decide which whiskies/whiskeys to keep there and which to offer at the bar? Whiskeys get moved from the home collection to the bar, based on keeping breadth, depth and balance at Jack Rose. If a particular distillery sells well and I feel that we need more expressions, then I’ll move that in. If I find a new distillery not represented at Jack Rose, it automatically goes in. The only limit to what ends up at Jack Rose is shelf space—ideally, everything in my personal collection will eventually end up in one of my bars. How does living in D.C. determine the style or approach at Jack Rose? D.C. is part small southern town and part international city. Together, the combination makes for a whiskey drinker’s paradise. American whiskey is a huge category for us, but we carry a huge selection of international whiskeys hailing everywhere from India, Japan, France, Australia and even Spain. We try to represent the melting pot that is Washington D.C., through the largest, most diverse collection in the Western Hemisphere. What is your philosophy on deciding what brands/bottles to stock and to invest in? In selecting whiskeys to carry, it’s the same philosophy as the whiskeys I personally collect. That is, if I feel the whiskey is worth drinking today, it’s worth drinking 50 years from now. So I stockpile favorites to enjoy for years to come. 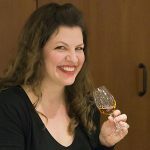 When it comes to smaller, lesser-known distilleries, I look for the ones who I think are on a journey to greatness or are doing something completely different. How do you and your team educate customers on the massive collection available at Jack Rose? At Jack Rose, we have whiskey advisors on staff 7 days a week to answer any question a guest may have, help them select whiskeys they might enjoy, and if the opportunity arises, to educate the guest through tastings, flights and conversation. 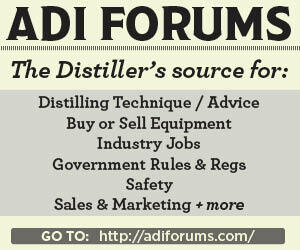 What advice would you give to distilleries looking to be represented in quality bars? First and foremost, always focus on quality. And if that means two years or 10 years in the barrel, it takes what it takes. Secondly, if you’re going to make a spirit unlike anyone else’s, put as much information about your process on the label as you can. It brings us along on your journey and helps us see your vision for the whiskey. What are some micro-distillers/small-batch brands that are exciting you right now? Kentucky Peerless in Louisville is a great example of traditional methods-meet-modern process. They’ll be releasing their first rye whiskey later this year, which we’re excited to get in D.C.
Sonoma County Distilling Co. in Sonoma, CA, is using direct fire alembic pot stills, making traditional bourbon, rye and wheat whiskey. And Copper & Kings is making some incredible brandies and absinthes in Louisville, KY. You know you have to be good if you open up a brandy distillery in the heart of Bourbon Country. Besides your bar, what do you think are some “can’t miss” food and drink spots when people are visiting your city? If you’re looking for a great cocktail experience, The Columbia Room is always a must. If you like heat, Little Serow is a cool, underground Northern Thai spot from one of the best chefs in the city.